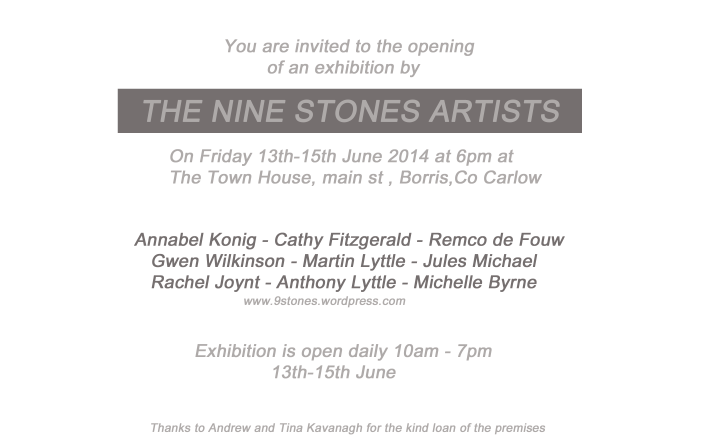 Some of the 9 Stone Artists are concerned with art-making, some with extended or site-specific studies of the area, others again work across non-art disciplines or connect and participate with non art-groups; all create works that transmit new understandings of this special area of County Carlow, still little known outside the county. Our opening is on the evening before the Borris House Festival, Fri 13th June at 6pm and runs alongside the Borris Festival of Writing and Ideas weekend event until Sun 15 June. Please feel free to share this exhibition notice. 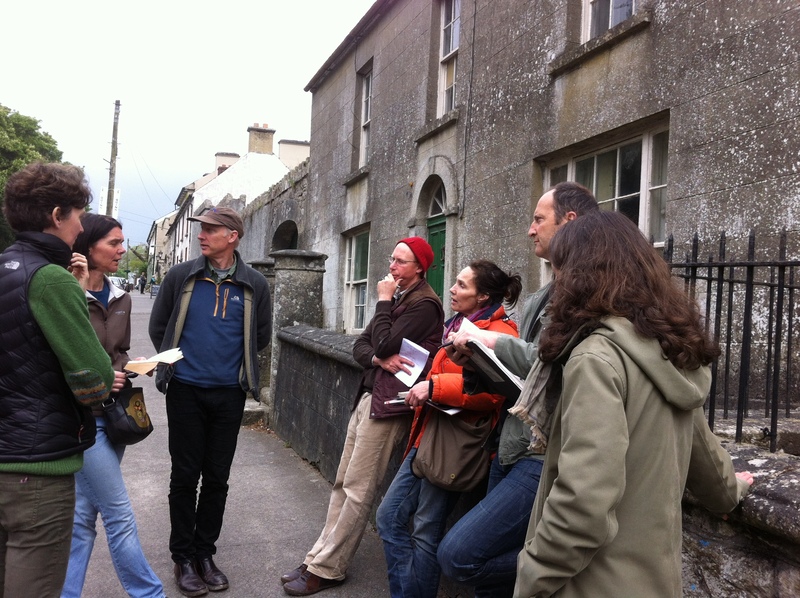 Remco de Fouw, Michelle Byrne, Cathy Fitzgerald, Anthony Lyttle, Annabel Konig, Gwen Wilkinson, Martin Lyttle, Jules Michael and Rachel Joynt will transform one of Borris’s most charming and historic townhouses into a gallery for a single weekend. 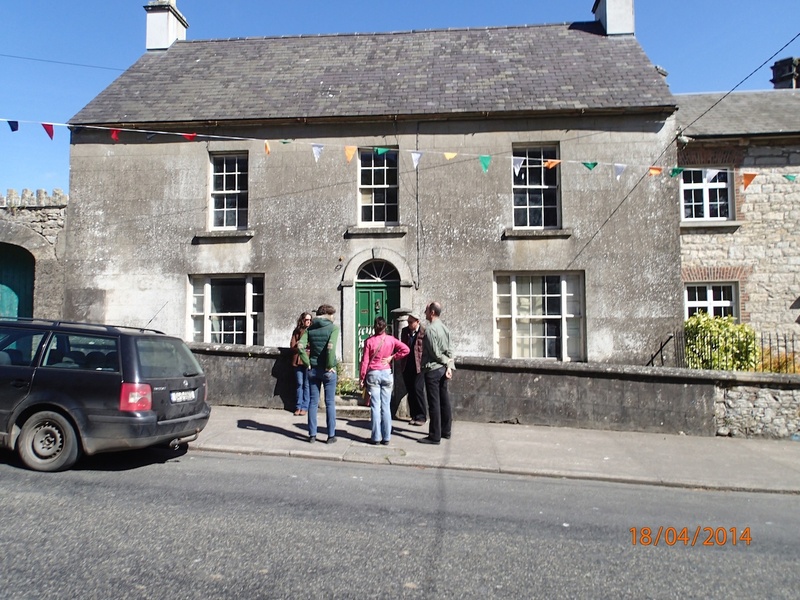 The Town House, Main Street, Borris, Carlow. Many thanks Arran, be great to see you again and thanks for the repost!